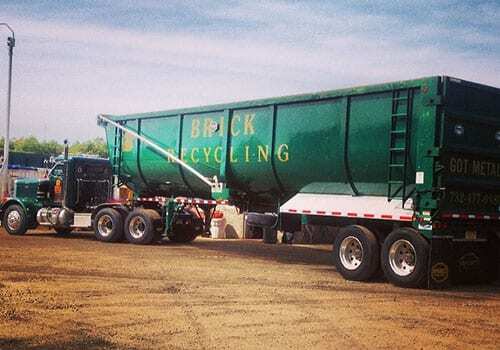 Brick Recycling Company, Inc. is a family-owned business committed to serving its customers while exercising the social and environmental responsibilities that come along with the recycling industry. We are a business built upon a foundation of hard work, integrity, performance excellence, and customer satisfaction. Owned and Operated for over 18 years, Brick Recycling Company, Inc. has been nationally recognized for our visionary practices and achievements. Brick Recycling represents what is best about business by demonstrating unrivaled innovation, service, support, and employee development. Acknowledged and awarded by organizations such as Forbes and Inc. 5000, Brick Recycling is not your typical scrap yard. We house a great team of business professionals that exhibit boundless blends of skills that reflect our mission to provide our customers with an abundance of flexible and intuitive amenities. Here at Brick Recycling, we pay the highest prices for your scrap metal. Honesty, accuracy, and integrity are our forte. All of our facilities include state certified scales and licensed weigh-masters. We ensure precision by providing digital read-outs at our weigh stations that you can visibly see and record. 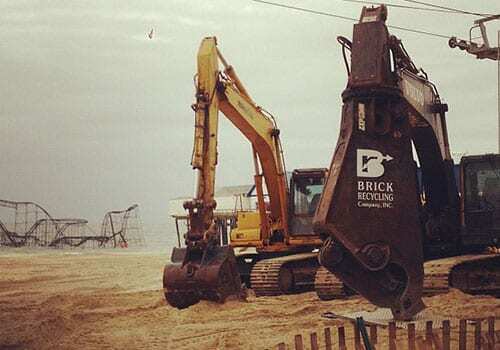 Brick Recycling proudly services the entire State of New Jersey. Our reach stretches even farther across the region by utilizing our wide-range of fleet trucks, containers, and rail service, to collect and haul all types of metals. We provide customized programs that minimize costs, simplify logistics, and ultimately leave you satisfied. Brick Recycling delivers an unrivaled customer service culture. We go above and beyond for each and every customer by taking the time to meet the specific needs and requirements of each consumer. As stewards of the environment, Brick Recycling is committed to a clean and green future. Brick Recycling offers streamline recycling services that diverts valuable resources from the solid waste steam. Collectively, our team consistently ensures environmental responsibility. We are a business built upon dedicated individuals who are committed to ensuring a convenient and hassle-free experience. All of our facilities including our newly purchased high profile location in Wall Township, NJ welcome all private and commercial peddler traffic for all of your scrap metal recycling needs. We are devoted to meet your highest expectations. Brick Recycling ensures maximized values by consistently searching for new end markets that increase the worth of your recycled goods. We believe in setting a standard that contributes to our community’s environmental involvement. Help us help you do your part for the environment because any effort and every footprint matters.